Is it suffering Twitter envy or does the problem go deeper? Facebook is having a mid-life crisis. 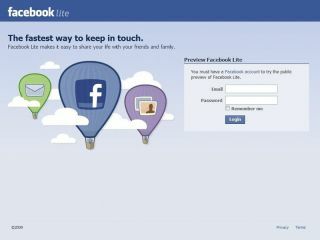 Despite attracting over 300 million users, the social network that pioneered the 'poke' is anxious about growing older. "What was once a convenient way for college kids to hook up," says Om Malik at GigaOm, "has now become the newsfeed of our post-Google lives." Journalists once raved about Facebook as the new MySpace, but attention has since shifted to talk about who will be the next Facebook. And the cocky youngster that's got everybody talking (or 'tweeting') is Twitter. The Merriam-Webster Medical Dictionary defines a mid-life crisis as "a period of emotional turmoil in middle age caused by the realisation that one is no longer young, characterised especially by a strong desire for change." Facebook is barely five years old, but if the characteristics of a midlife crisis are buying expensive items and worrying about your appearance, then the $50million purchase of FriendFeed and the arrival of Facebook Lite only confirm the diagnosis. Facebook doesn't deny that it views Twitter as a nuisance. Chamath Palihapitiya, Facebook's Vice President of Growth, Mobile and International Expansion, told technology website VentureBeat that "our task is to make sure we innovate and to make sure there's no new upstart experience that could take users away." Of course, using the term 'innovate' here is questionable. Facebook's recent 'innovations' seem to be heavily Twitter-inspired – a streaming news feed, real-time search, unlimited friends and the recent introduction of '@replies'. Having had a $500million bid knocked back by Twitter, Facebook is seeking to eliminate its rival's advantages one by one. Some think shoehorning even more features onto the homepage isn't necessarily the way to do it, though. Jeremiah Owyang, social media consultant for the Altimeter Group, describes the strategy as 'Twitter envy'. "Facebook absolutely recognises that Twitter is a threat," he told The New York Times earlier this month, "and it's doing what it can to replicate the features before Twitter gets mainstream." "One of the reasons behind Facebook's popularity was its simplicity and tidiness (compared to the chaos that was MySpace), but over the years the default Facebook page became more and more crowded. The 'lite' version makes that painfully obvious." Om Malik agrees, suggesting that with its Twitterlike updates, Facebook has "lost its intimacy, flooding us with a lot of white noise". While changes to the Facebook site have often irked its users, CEO Mark Zuckerberg believes that the best is yet to come. "We're just getting started on our goal of connecting everyone," he says. "Earlier this year, we said we expected to be cash flow positive sometime in 2010, and I'm pleased to share that we achieved this milestone last quarter." Despite the closure of its controversial Beacon advertising system, Facebook is making money via traditional brand ads, location targeted ads, sponsored links and micro payments for virtual goods. A $150million advertising deal with Microsoft also helps. Like a 40 year-old who suddenly decides to take up hang gliding, Facebook is reinventing itself to stay relevant in a fast moving internet age. Facebook is becoming less like a social network and more of a vast cross-platform communications platform and information aggregator. In that respect, it's not unlike an old fashioned web portal, albeit one with more interactivity, sharing, connectivity and openness. These values, it hopes, will be the key to its future survival.